New Recipe Alert. 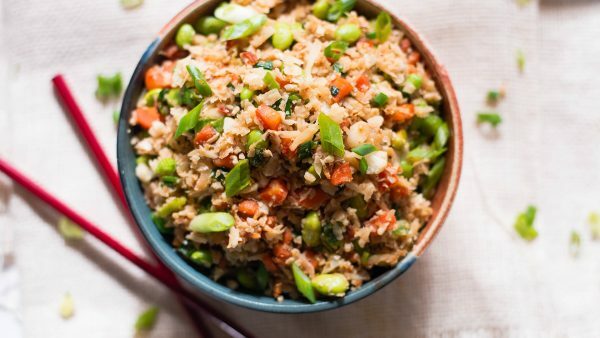 Check out this unbelievable, too good to be true, recipe for Cauliflower Fried Rice. Enjoy! Next stir in scrambled eggs , cauliflower and soy sauce and sesame oil. Stir frequently for about 5-7 more minutes. Add in your favorite protein and veg. Possible add-ins: baby corn, broccoli, cabbage, bok choy, water chestnuts, crushed peanuts, chicken, tofu, shrimp, etc.